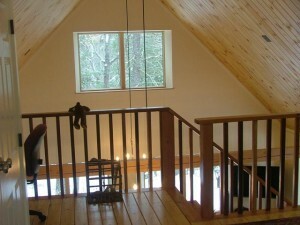 This is a small cape with one bedroom and a loft. With a full 2nd floor this could be a three bedroom home. The theme is low maintenance and low heating costs. The house is built on a slab on grade with 4” R-20 foam board insulation under the slab. The exterior walls are double framed using 2*4 and 2*6 studs with a separation of 12” which is dense packed with cellulose insulation achieving an R-40 wall system. The roof is framed with 2*12 rafters and strapped with 2*3’s creating a 13” cavity. The cavity is dense packed with cellulose and is rated R-47. Two inches of urethane foam board is fastened to the roof sheathing and covered with another layer of sheathing The foam board adds R-13 to the roof system for a total roof rating of R- 60. With a South facing gable end this home will receive a great amount of winter sun light. 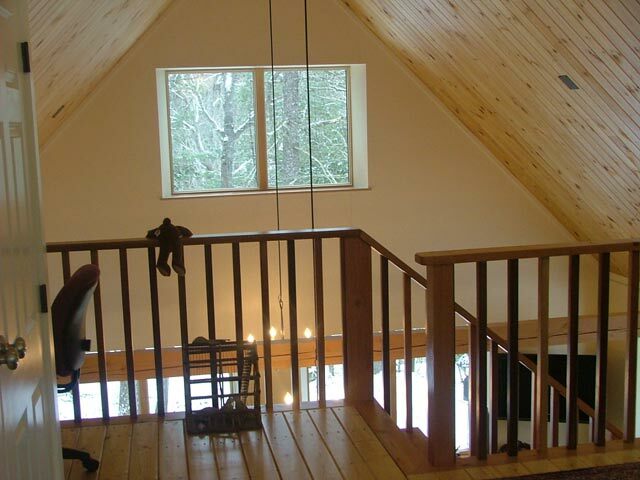 A combination of super insulation, air sealing, and passive solar gain make this a very low energy home. The house is really a nice piece of work. 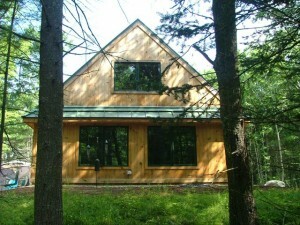 The cape, sided with pine shiplap and with a green metal roof, fits nicely into the wooded site. The cathedral ceiling is pine tongue and grove boards. 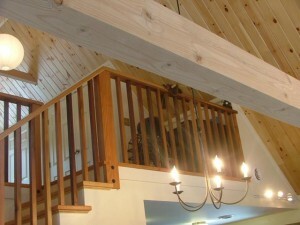 The loft floor is pine boards and the stair treads and rail system Douglas fir. 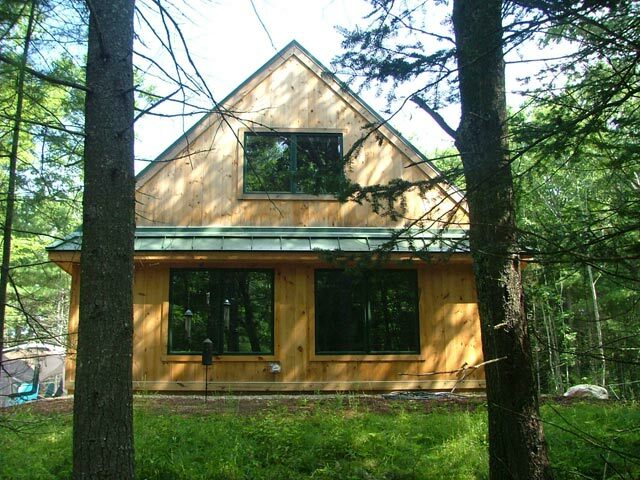 This is a finely crafted small energy efficient home built in the forest near the coast of Maine.